Healthy Eating with 5 a Day is a federally supported health improvement program. Most likely you have seen the 5 a Day logo on your foods or heard the slogan at schools or restaurants, but what does the program really mean for you? Beginning in 1991, this healthy eating with 5 a day program was designed by a partnership between the Produce for Better Health Foundation and the National Cancer Institute. The concept was to use current research demonstrating the importance of a regular diet including fruits and vegetables and to create a simple formula for decreasing disease risk and costs in all Americans. Their ultimate long range goal is to reduce cancer and other chronic diseases in the entire United States population. Healthy eating with 5 a day was chosen as a simple method for advertising the importance of produce in your diet. Research proves five servings a day was the bare minimum for good health and an easy number to remember and employ into the typical American diet. This diet concept was originally created to help lower cholesterol and lose weight, along with added disease protection for all Americans who followed the basic principle. Simply ensure you receive five servings a day of a variety of colorful fruits and vegetables and you are instantly improving your basic health. While you can certainly eat more than five, the healthy eating with 5 a Day concept was designed as five is the minimum amount you need to maximize the health benefits of fruits and vegetables. Fruits and vegetables contain a host of vitamins and minerals which are crucial to our bodily functions. These key ingredients build a stronger body overall, with a maximum ability to fight off disease. Antioxidants - Found in all fruits and vegetables, defending against cell damage. Phytonutrients - Specialized plant substances which coordinate with the vitamins, minerals, and fiber to better protect against disease. 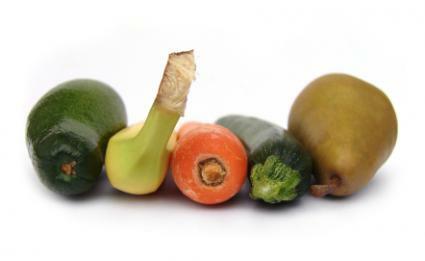 Fiber - Fruits and vegetables are the best source of natural dietary fiber. Additionally, these key elements of a healthy diet are cheaply found in fruits and vegetables, rather than consuming costly supplements or medications. For a few simple changes to your current diet, the healthy eating with 5 a Day program equals amazing rewards. Start by evaluating your current eating patterns. Keep track for a week to see how many servings you are already consuming. Then start a simple chart, adding a few more each week. Make it a game - see how many servings you can squeeze into your meal plan! Substitute ½ cup of applesauce instead of ½ cup of oil while baking. Use 100% fruit juice instead of oil in dressings and marinades. Replace ½ of your ground or chopped meat in recipes with beans or other chopped vegetables. Take fruit with you to work or play as a healthy snack. Instead of soda, drink 100% fruit juice. Make fruit smoothies as a cold healthy treat. Make sure you have at least one serving of a fruit or vegetable at every meal. Leave fruits and vegetables out in plain view for easy snacking. Keep a bag of dried fruit for nibbling in the car. Buy the easy-to-grab baby carrots or snap peas. Keep a bowl of fruit on the kitchen table. Eat fruit as dessert, like berries, pies, or cobbler. If you find you are only eating a couple servings a day, don't distress. You are among the majority, which is why this program was originally designed. Healthy eating with 5 a Day can be a simple and fun way to ensure a healthy lifestyle for the whole family. Make eating produce a regular part of your diet and it will bring your body rewards in more ways than one.